Home / Assignment #347: Birds In Flight / Who knew Great Blue Herons sat on fences? Who knew Great Blue Herons sat on fences? Used my Canon 5D Mark IV, 400mm lens and tried to achieve focus as soon as she took off for the fence -- lucky to have gotten this shot. Herons are always photogenic, aren't they? 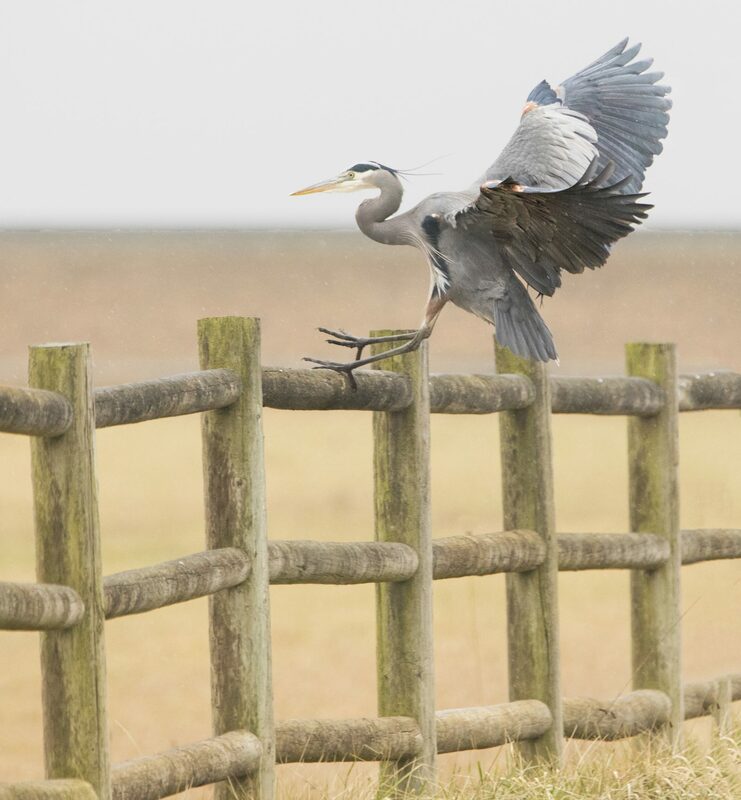 I noticed this Great Blue Heron flying across the road toward the field, starting shooting, and to my surprise she landed on the fence! I had not personally seen a heron fence-sitting before. She rested there for a few minutes before heading into the field in search of lunch.